Travel is mostly about having fun, but it also imposes a kind of burden of conscience on the traveler. In the past few years, we’ve become more aware of the environmental and cultural impact that our journeys exert on our host countries. We’re encouraged to leave a small footprint and be more sensitive to our surroundings (and not to ride around Prague in packs of reckless Segways, but I digress). Lately, I’ve noticed what feels like a creeping burden to be more politically aware as well. 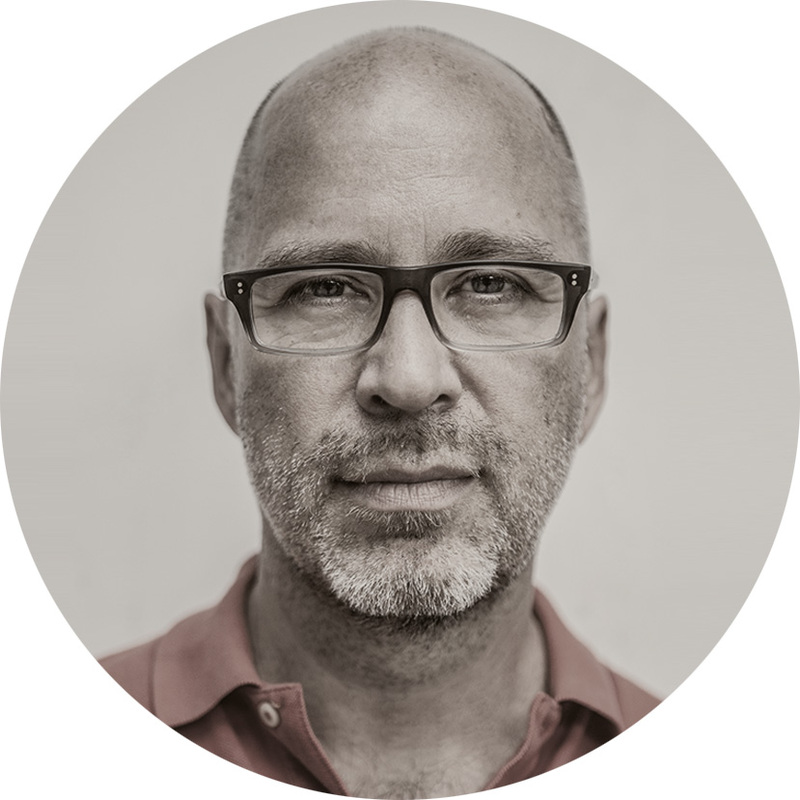 More specifically, of an evolving norm that appears to hold that travel, itself, can sometimes help to sustain and perpetuate bad actors on the international stage, and that travelers should visit places that harmonize with their own political beliefs (and avoid those places that don’t). My instinctive reaction is to push back on this one, but I'm still working it out. I had blissfully traveled around the planet for three decades before even considering the question of whether travel was itself political. During the 1980s, I toured around Communist Czechoslovakia and much of the rest of Central & Eastern Europe when those countries had the most repressive governments in Europe. It never occurred to me then – and I’d still reject the notion today – that my trips were somehow, in some small way, helping to sustain those regimes. My perspective on all this changed slightly, though, last summer when I met up for lunch in Prague with a Czech friend of mine, Hana. 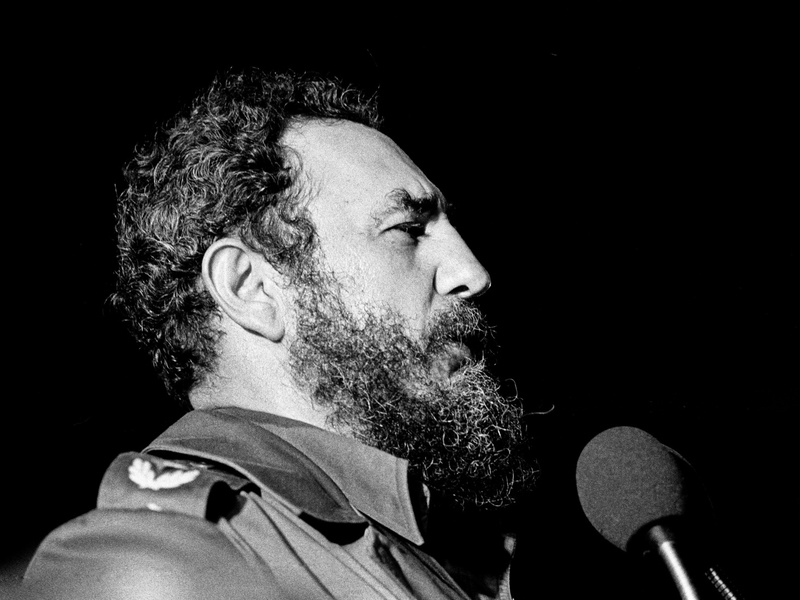 She’s a photographer who’s spent a lot of time in Cuba and has strong opinions on the regime of the late Cuban president, Fidel Castro. She was helping to organize a cultural exchange to bring over some anti-Castro artists and musicians to the Czech Republic and said she wanted to ask me to help translate some promotional materials for the event into English. Still, I wasn’t totally prepared for the anger she felt toward certain travel writers and guidebooks that, in her opinion, tread too lightly on the evils of the Castro regime. To paraphrase her argument: those writers are way too infatuated with Castro’s romantic, revolutionary image and colorful anti-Americanism to render an honest assessment of what is, in fact, a brutal dictatorship. Indeed, they make things worse by pushing tourists inadvertently (and inevitably) into Castro-family businesses, which, in turn, only strengthens the regime’s hold over the country. 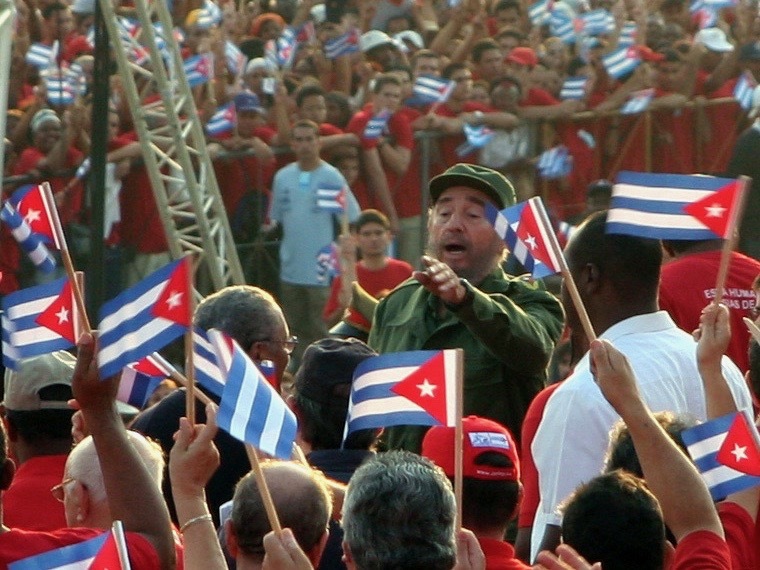 I know next to nothing about Cuba and wasn’t prepared that day to rebut her arguments. I defended travel writers by saying we do our best to describe places objectively, and besides, it’s not our business to exclude countries because we don’t like the governments (or even blacklist businesses because we don’t like the owners). It’s up to readers to make those decisions. The front page of the New York Times' influential '52 Places to Go' list for 2018. Apparently, there were no places in Russia this year worth making the list. Photo credit: The New York Times. Hana had one more conversational topic up her sleeve, and that’s when I learned what was probably the real reason for our lunch. She wanted to ask me, as someone in the business, if I thought there was a market for a line of guidebooks or travel publications that would focus specifically on the political aspects of travel, and help travelers make more politically and socially aware choices about where they go and what they do when they get there? The publications wouldn't necessarily dissuade people from visiting places like Cuba, but rather help to educate them on the various ways their travel dollars were abetting the regime (and presumably make better spending choices on the ground). She thought the idea made perfect sense as a travel guide to Cuba, but the two of us quickly came up with a shortlist of other countries where this information might prove helpful. 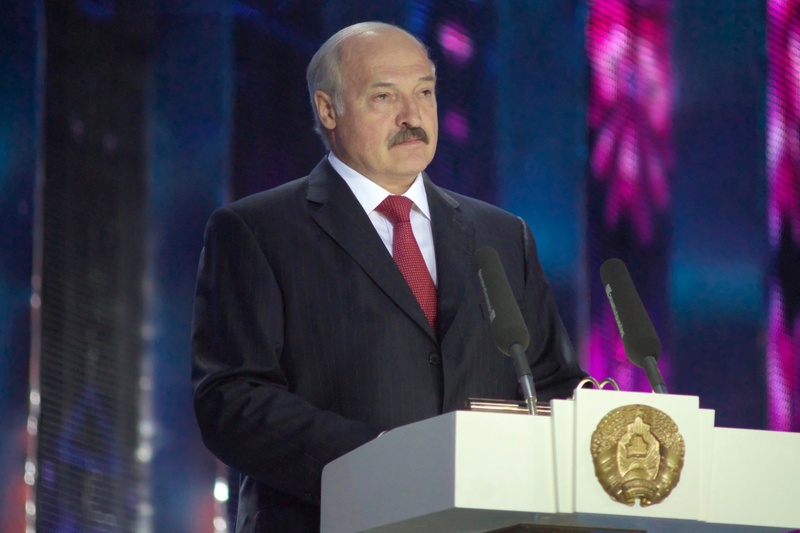 How about going to Belarus, which never actually made the transition to democracy and is run by a guy often referred to as Europe’s “last dictator:” Alexander Lukashenko. Iran – where the government is highly involved in private business and would profit enormously from increased tourism -- is another obvious candidate for such a title. The list is endless, actually. 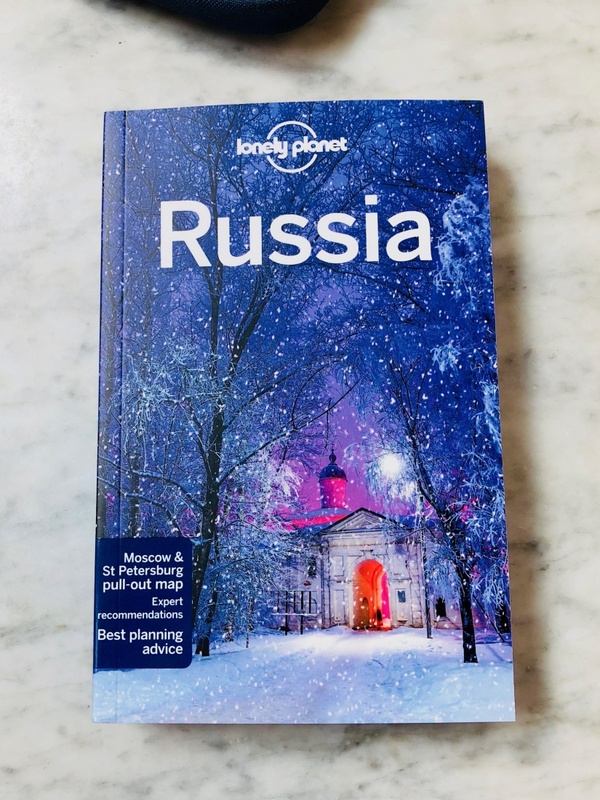 I received my hard copy of the Lonely Planet guide to Russia in the mail last week. Around a dozen authors worked on this book, and they (we) found plenty of places to recommend. Photo by Mark Baker. Travel makes possible chance cross-cultural encounters. 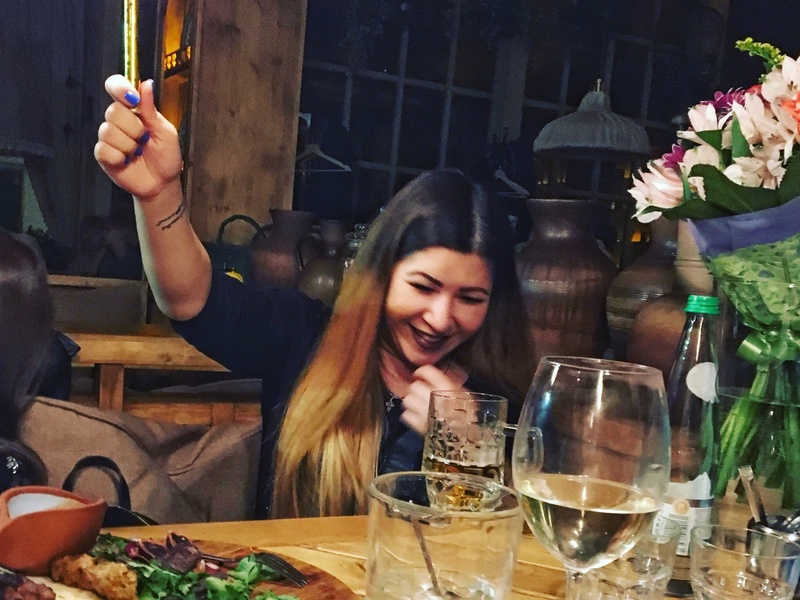 This Russian girl and her friends invited me one evening to help celebrate her birthday at a restaurant in the city of Samara. Photo by Mark Baker. When I accepted a guidebook offer last year to research and write about Russia, I was excited to have the chance to visit and learn about a country I’d only ever seen as a tourist and that I remained fascinated by. The Czech Republic (then as Czechoslovakia) broke with Russia as part of a de facto political union, the Eastern bloc, in 1989, yet Russia continues to exert a strong influence on the country’s psyche – as indeed it does on all of the formerly Communist countries of Central & Eastern Europe. I only became aware that a kind of general PC, anti-Russia bias was creeping in after I returned home from Russia and started tweeting links to some of my photos and articles from the trip. The vast majority of the reactions I received to the tweets were positive, but occasionally someone would tweet back a reply such as (paraphrasing here): “I’d never go to Russia while Putin is president” or “traveling to a dictatorship only strengthens the dictator.” Wow, I thought, this is really a thing. Apparently, the anti-Russia bias may even go deeper than a couple of cranks on Twitter. 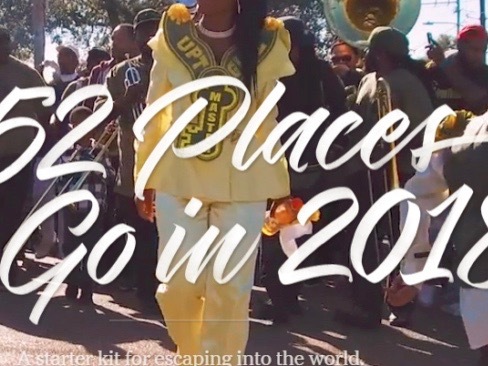 In an article earlier this year for Skift, titled “Why U.S. Travel Media Won’t Tell People to Visit Russia,” a former fellow writer at Lonely Planet, Robert Reid, pointed out that the editors of eight leading global travel publishers* had failed to include any reference to Russia whatsoever on their annual “Best of 2018” travel lists. Reid was careful to note that there was no direct evidence of bias, but remarked the omission was odd given the fact that Russia, this summer, hosts the FIFA World Cup 2018 football tournament, the world’s biggest sporting event focused on a single sport. That’s right. According to Skift, none of the eight named a destination in Russia. And the New York Times even had 52 chances to do so, in their annual “52 Places to Go in 2018.” There must have been something in the Kool-Aid. On a lighter (or heavier) note, travel forces you to consider culinary combinations that might never have crossed your mind. 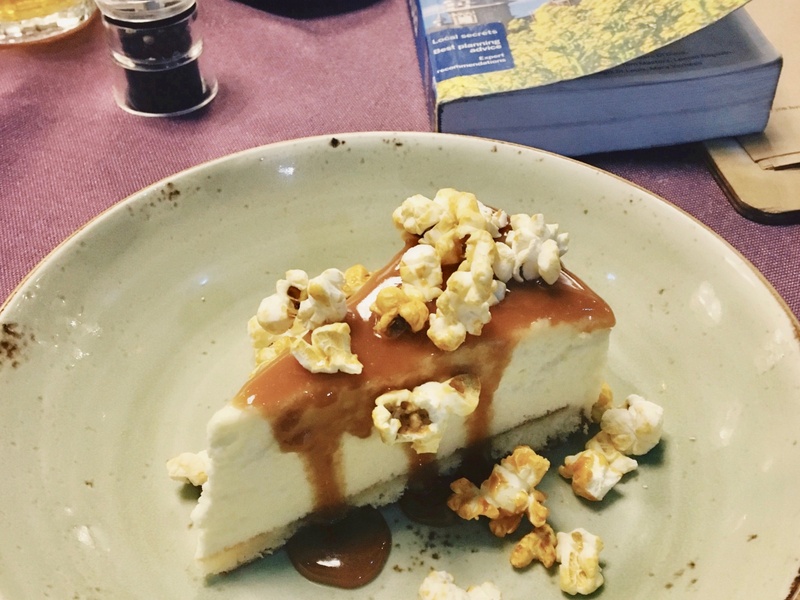 I offer popcorn-topped cheesecake in the Russian city of Astrakhan. Photo by Mark Baker. 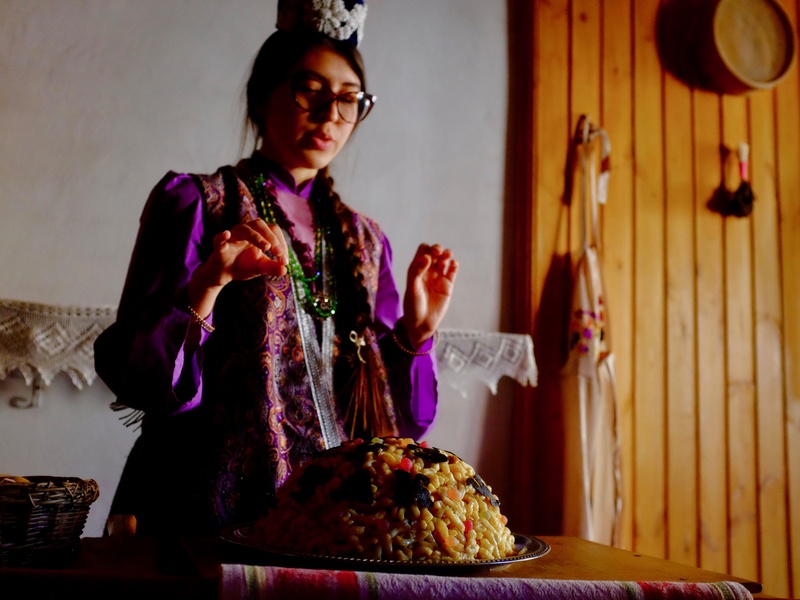 Another delicacy (and cross-cultural teaching moment) I might have missed out on: a piece of Tatar 'chak-chak' in the Russian Tatar city of Kazan. Photo by Mark Baker. First, to answer the question set out in the title: “Is Travel a Political Act?” It’s clear, I think, the answer (on some level) is “yes.” The places travelers choose to visit, the businesses they patronize, and the money they spend, particularly in an autocratic country, can exert much the same impact on a place’s politics as they can on a country’s environment or culture. The onus falls mainly on visitors to learn and, where possible, to make informed choices. Scanning the New York Times list of “52 Places to Go in 2018,” I noticed that Prague pops up on the list at no. 39. That’s not unusual (Prague often makes it onto these kinds of lists these days). That is, until you consider the current make-up of the Czech government: a xenophobic, anti-immigrant, pro-Kremlin president and a former Communist-party-member prime minister, whose company has been accused by the European Union of embezzling subsidies. Maybe the Times isn’t totally up on Czech politics? Both men were democratically elected (and that’s a significant difference), but it’s still very much a rogue’s gallery of governance – and, in my opinion, still far short of a good reason to pass up seeing Charles Bridge this summer. *The eight travel publishers that, according to Skift, failed to include reference to Russia on their annual “Best of 2018” (or comparable) travel lists: New York Times, Lonely Planet, Conde Nast Traveler, Travel & Leisure, National Geographic Traveler, CNN, Afar, and Frommer’s. In the context of spreading nationalism and populism, however, I think that a willingness to inhabit other cultures can become inherently political. Of course, not every all-inclusive trip to Cancun strikes a blow against “America First!”, but choosing cultural connection, openness, and a certain humility in the face of difference is and will remain politically significant.